Leaders 1354 (672 North Wells), also referred to simply as Leaders, is known to many locals as one of the best places to find urban gear. Located in River North, miles away from its original Hyde Park location, Leaders brings a bit of streetwear edge to the area. 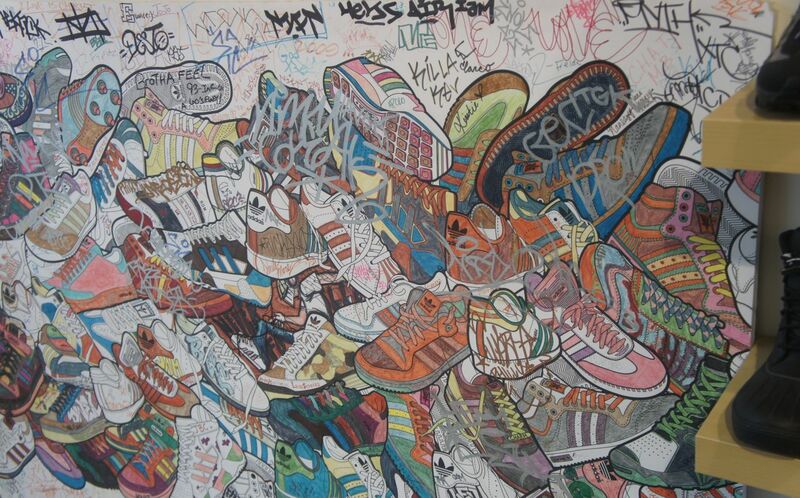 Inside you will discover the latest – and sometimes the rarest – footwear from mainstream brands such as Nike as well as lesser known, yet equally appealing, names like Amongst Friends. Clothing designers Play Cloths, Robotic Minds and Chicago’s own Enstrumental, are right at home in this retail space surrounded by graffiti walls and vibrant artwork. You will immediately notice that color is no stranger to the store. Brightly-colored sneakers and graphic tees are available for the brave in style. Plus denim and a selection of backpacks and satchels give you a slew of head-to-toe options. Expect to also find Leaders’ private label mixed in with the rest. 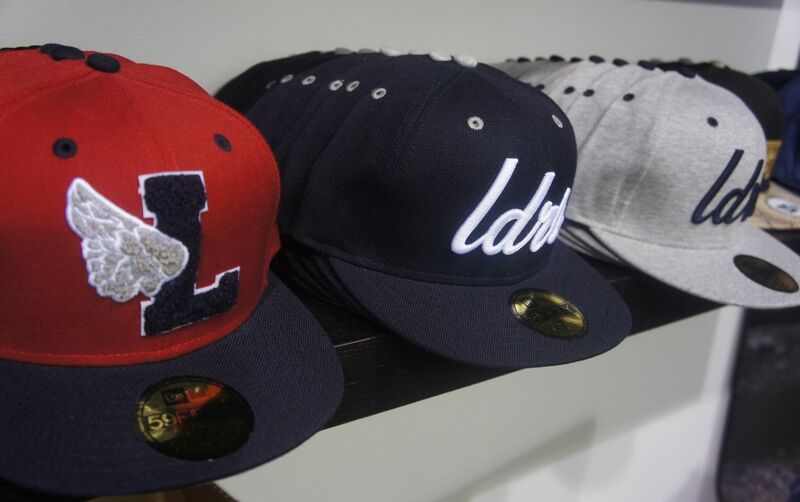 Branded with ‘LDRS1354’, the collection is one of the most recognizable in Chicago’s hipster and hip-hop scenes. In addition to the private label, Leaders consistently collaborates with major brands on exclusive gear that is only available at the store – with the most recent one being the Leaders 1354 x Addidas Originals Sneakers with removable fringe. This is yet another reason to visit regularly. Leaders is more than just a retailer. It is a culture that continues to generate support from both consumers and brands. 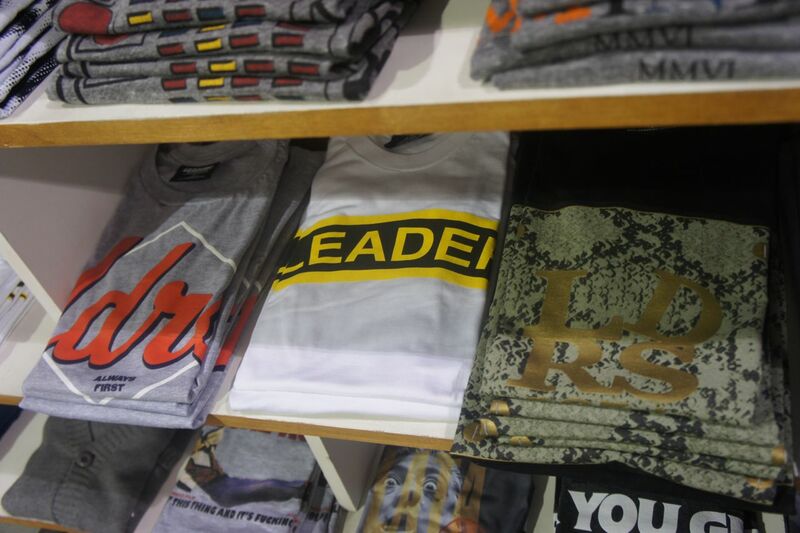 Leaders is most certainly a Chicago gem and the go-to shop for those looking to navigate the city in style. This entry was posted in Shopping and tagged Clothing, Men, River North, Sneakers, Streetwear. Bookmark the permalink.